The Village Charter School is facing the possibility of closure after years of financial losses and mounting debt, according to state documents obtained by Idaho Education News. Idaho’s Public Charter School Commission, responsible for regulating most Idaho charters, recommended The Village board plan for how to close the 490-student school in an orderly fashion, if they can’t rectify a perilous financial situation. The Village’s current funding crisis shines a light on flawed financial oversight at the school. Most recently, that oversight has been provided by a company called Veritas Charter School Services LLC., whose founder and top contract employee at The Village recently admitted breaking state ethics laws as a charter school administrator in South Carolina. Ben Greenwood, board chairman at The Village, wouldn’t comment on whether The Village will close. The board also is reviewing its relationship with Veritas, the Utah-based vendor that is overseeing the school’s finances and business operations. Veritas’ embattled founder, Lori Manning, acts as The Village’s executive director, a position that includes signing contract agreements and spending taxpayer dollars. The Village board called a special meeting for Friday morning, where it will consider an evaluation of Manning and the school’s business manager in executive session, according to an agenda posted on the school’s website. The board could take action as a result of that evaluation. The price of Veritas’ contract was one of many “daunting” financial commitments that Baysinger pointed out in a December letter to the school’s board. The contract says The Village will pay Veritas 9 percent of its approximately $3 million in public tax collections per year, through 2020. 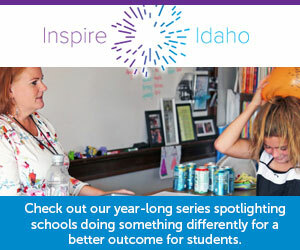 That cost is “about twice the salary of Idaho’s highest paid district superintendent,” Baysinger wrote. Unlike district superintendents, Manning is a contractor, not a state employee. Her pay is not included in a state database of public school employee salaries. Two years into the Veritas contract, board members don’t think they’re getting their money’s worth, according to a review provided by Greenwood. “The board has concerns that Veritas is not operating at an adequate level,” a review summary said. In the review, the board said Veritas’ financial oversight “needs improvement” and gave the company low marks on accounting and bookkeeping. Manning defended the cost of Veritas’ contract with The Village. She said the 9 percent income fee is on the low end of what similar education management organizations charge, and that she has offered the board a lower rate. Baysinger also raised concern about The Village’s building costs. The Village, located off West Fairview Avenue in Boise, opened its doors in 2011. By the 2014-15 school year, The Village’s finances had started to slip, charter commission documents show. And for two school years after that, the commission found the school in “critical” financial standing. The Idaho Statesman reported the charter faced closure concerns as early as 2016. The school didn’t close, and the problems didn’t go away. The Village “has increasingly struggled with financial stability,” state officials wrote in an analysis about whether to renew The Village’s charter in 2018. Veritas was hired in 2017 to help fix that. “The board has charged Veritas with turning around school operations,” the charter renewal report said. School leaders told the charter commission that Veritas would help the board better understand finances at The Village. And, by acting as CEO of the school, Veritas would allow principal Tony Richard to focus on academics. The Village had “struggled with academic outcomes,” according to state documents. In 2018, the commission renewed The Village Charter School to continue operating until 2023, as long as student performance improved. One year after that renewal, and two years after the school signed a contract with Veritas, the school’s financial picture is even worse. The school has made small gains in student achievement. Last month, Manning — who serves as executive director of The Village but is employed by Veritas — signed a government document admitting to violating ethics laws related to financial decisions made at a charter school she ran in South Carolina. A consent order, provided to EdNews by The South Carolina State Ethics Commission, said that Manning was the superintendent of a school called High Point Academy-South Carolina, which opened in 2014. While she was superintendent of that school, the commission alleged that Manning hired her husband to help with logistics and transportation at High Point, promoted him to a $48,000 salary and approved his $2,200 year-end bonus. The commission also said that Manning had set up a contract with a company she co-founded. That contracting company provided after-school and other services, the commission said — and paid Manning $10,000. Manning told The Village about the ethics investigation before signing a contract with Veritas in 2017, she told EdNews. Greenwood, the board chairman, confirmed that the board knew of issues in South Carolina. However, the board did not know that Manning had signed a consent order in February admitting to ethical violations, Greenwood said on Wednesday. Despite signing the admission, Manning disputes the Ethics Commission’s claims. She told EdNews she signed the consent because she didn’t have the money to fight the ethics charges in court. At The Village, Manning said she has helped cut costs, slashing school spending on salaries from 80 percent to less than 65 percent. The school also moved from two facilities to one central location, Manning said. She did not cut Veritas’ management costs, per the original contract, but said that she has offered to do so this year. Manning thinks The Village is moving in the right direction. Data analyst Randy Schrader contributed to this story.